An amazing true story of one woman's heavenly encounter with the child she lost to abortion. "One of the best post-abortion personal stories I've read and I've read a lot of them." - Georgette Forney, President of Anglicans for Life and Co-founder of Silent No More. 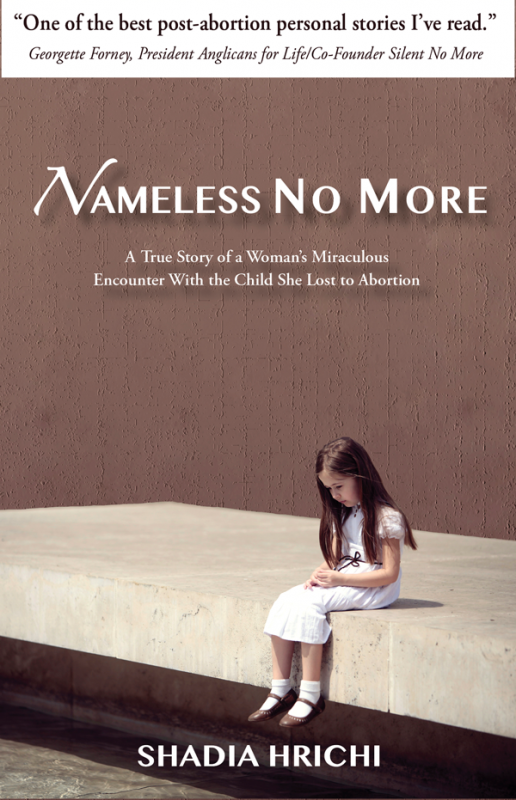 Whether you’ve lost children to abortion, know someone who has, or simply seek to better understand the heartbreak of abortion, Nameless No More is guaranteed to touch your heart. This amazing true story serves as a beautiful reminder that our journeys of healing just may lead to a place we never expected. Nameless No More is the perfect size for a gift book and serves as the foundational story and inspiration behind Worthy of Love, a Bible study for post-abortion healing.